What is Considered Great Bodily Injury/Harm in Orange County? The “enhancement” of a criminal sentence in the state of California means a harsher criminal penalty, such as a longer jail sentence or a stiffer fine. California has a complex system for adding enhancements to criminal sentences. An offender convicted of any crime who, for example, uses a firearm to commit the crime, who involves a juvenile in the crime, or who has prior criminal convictions is probably looking at an enhanced sentence in this state. Of course, anyone who is charged with a crime in Southern California will need the advice and services of an experienced Orange County criminal defense attorney. In many cases, the sentencing rules under California law can be quite complicated, but if an offender’s crime has resulted in what the law calls great bodily injury or “GBI,” the enhancement is clear-cut. California law specifies three to six years as the standard sentencing enhancement for GBI, and the enhancement may be applied to anyone, convicted of a felony, who has caused great bodily injury in the commission of that felony. For discharging a firearm from a moving vehicle, the enhancement can be extended to ten years if the state can prove beyond a reasonable doubt that the offender intended to inflict on the victim great bodily injury or death. How is GBI Actually Determined? “A significant or substantial physical injury” is the only guidance that the law gives regarding the definition of great bodily injury. California courts and lawmakers have allowed the matter to be determined by juries and on a case-by-case basis. A criminal defense attorney may contend that a crime victim’s injuries do not “rise to the level” of GBI – that is, that the victim’s claim is exaggerated – but in California, if the case goes to trial, a jury alone will decide. Great bodily injury must be an actual, bodily, physical injury rather than any kind of exclusively emotional or financial harm. Jurors will take into account the severity of the victim’s injury or injuries, the pain suffered by the victim, the victim’s age and health, and the extent of the medical treatment the victim required. The three- to six-year GBI sentencing enhancement is then added to the basic sentence for the underlying felony conviction. How is the precise length of the GBI sentencing enhancement determined? The minimum three-year GBI enhancement can be extended to four, five, or six years depending on the age of the victim, the severity of the injury, and the other circumstances and details of the offense. Cases that involve a victim who is disabled, under the age of five, or over the age of seventy, as well as cases involving domestic violence or sexual crimes, are typically the cases where a lengthier enhancement penalty will be imposed. How do Great Bodily Injury and “Serious” Bodily Injury Differ? The way the law works in this state, serious bodily injury is in effect a lower standard, for this reason. A jury could convict a defendant of a battery charge and then find that the “serious” bodily injury resulting from the crime of battery “rises” to the level of great bodily injury, requiring the court to add a GBI enhancement penalty to the sentence for the battery conviction. It is entirely in the jury’s hands. The exception is that whenever someone is convicted of murder or manslaughter, no GBI enhancement can be added because the sentence for a homicide conviction already takes into account the severity of the crime. Manslaughter, murder, and arson, however, are the only crimes in California that are exempt from the GBI sentencing enhancement. And while a GBI enhancement will not be added to a DUI manslaughter conviction, a conviction for DUI with injuries will qualify for the enhancement if the injuries rise to the GBI level. That’s not all. In cases that involve great bodily injury, the civil side of the law must be considered as well as the criminal side. An injured crime victim can file a personal injury lawsuit and seek monetary compensation from the defendant for medical expenses, lost wages, and other injury-related damages. If the defendant is convicted of the original crime and additionally convicted of GBI, those convictions are very probably going to be considered conclusive evidence in a civil personal injury case. Is a GBI Enhancement Considered a “Three Strikes” Conviction? California’s controversial Three Strikes sentencing law was originally enacted in 1994. The law was amended by Proposition 36, which the voters of California approved in 2012. The Three Strikes law imposes additional prison time on particular repeat offenders with convictions for serious or violent felonies. If you have “priors,” you must avoid a GBI conviction. 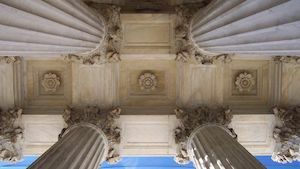 A conviction for a GBI enhancement – even though it is “only” an enhancement – nevertheless counts as a strike on the offender’s criminal record for the purposes of California’s Three Strikes law. And that’s just one more reason why, if you are charged with any felony in southern California, you need to seek immediately the advice and services of an experienced California criminal defense attorney. A good defense lawyer will protect your rights and fight for justice on your behalf by aggressively challenging the state’s case against you. Nothing is more important than your freedom and your future. California criminal law is exceedingly complicated, so it is absolutely imperative to be represented by an attorney who comprehensively understands it and has a wealth of criminal defense experience.